Enjoy the top 1 famous quotes, sayings and quotations by B.Knight. for that would be avoiding life. 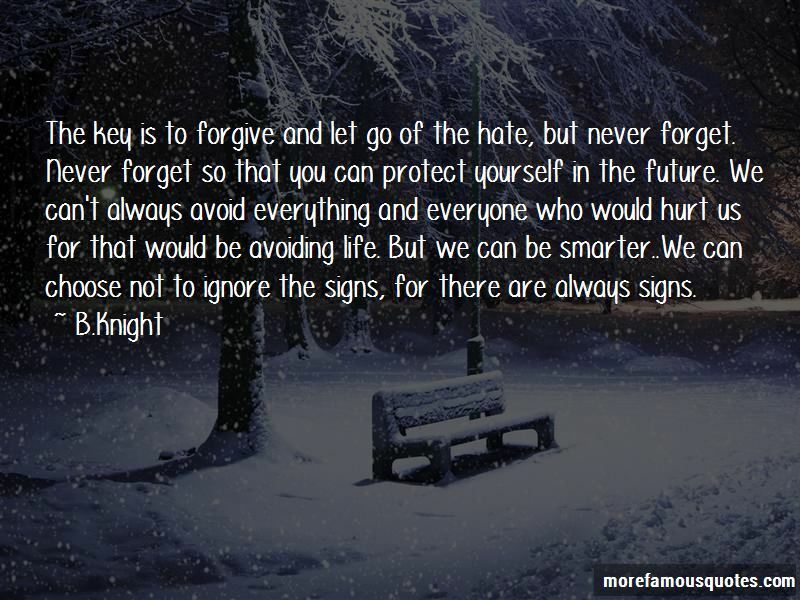 But we can be smarter..We can choose not to ignore the signs, for there are always signs. Want to see more pictures of B.Knight quotes? Click on image of B.Knight quotes to view full size.